Ok, so here I go again. Putting aside my embarrassment and taking pictures of myself for all the world to see. I’m linking up to the Pleated Poppy. And these are from the past two weeks, because most days I didn’t have the time/energy to get out of my pjs or take a picture. As you can see, most of my wardrobe comes from Goodwill. Sorry if that grosses you out! But it’s definitely my fav place to find one-of-a-kind things for super cheap! And a lot of times the clothes I buy are new or almost new. It’s like a treasure hunt! And it’s totally addicting! Do you shop at thrift stores too or am I the only one?? Your outfits are adorable! You score AMAZING stuff at Goodwill! Totally do thrift and score! Either that or I get things new with a sale and coupon… yesterday I got a beautiful sweater dress, a cardi, and then a shirt for my daughter… all brand new for $5 total… love that! I love thrift stores , almost to a fault…I have this deal with a friend right now that I need to get my office cleaned and the trim in my son's room painted before I will reward myself and then we are going thrifting ( and of course a cute coffee shop is not out of the question)Thanks for sharing, I now know what I am going to wear today. You are looking super cute! Yes, I love to shop at Goodwill! I have found many treasures there for my home and myself! Cute outfits! LOVE thrift stores. Goodwill is the best by far! 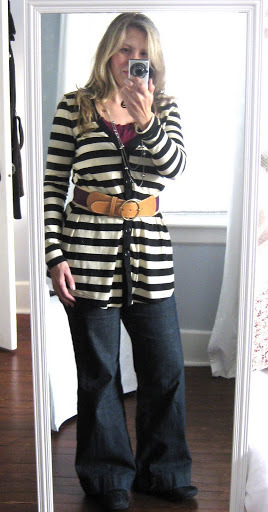 I love the striped Francesca top with brown belt. I wore something similar awhile ago & you reminded me to wear it again! I have no idea why you are embarrassed, you look fantastic! I especially love all your Goodwill finds! You are doing Great! Consider: 3 small children, the horrible weather and you still manage creative, stylish, yet frugal outfits. Celebrate!! oh, and a clean house. I love to go thrifting and Goodwill shopping, too! Why pay retail when you can find it for less?You do a swell job at mixing your outifts. Great style! I'm so glad you are doing WIWW's again. 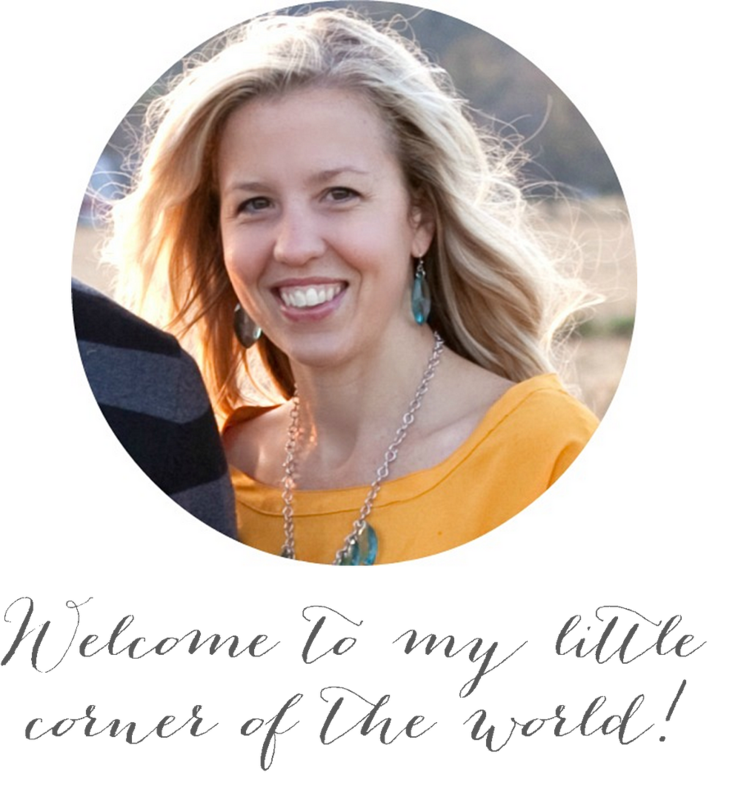 I have recently become a fan of the GW since finding fun blogs like yours that inspired me. Now, it's actually pretty difficult for me to shop at regular stores because I can't imagine paying brand new prices anymore. I love finding unique things that no one else will have. I would be in Heaven if our Goodwill had that kind of stuff! !I love all your outfits! And if you want to see some awkward head tilt and crazy leg action you should see my WIWW! I wish I could find such great stuff at GW…I never seem to have any luck! I would worry one bit! I love thrifting just wish I had more luck at it! I really have to visit my local Goodwill. You have a real talent for putting things together. Great job! Okay, so I tried my local Goodwill and maybe I just need to go more often, or be more focused, or need to know the "sale" day or something b/c the only thing I found was a pair of gap jeans for my son for $4 😦 Good for him, not so much for me! I'm right there with you! I love, love, love going on a treasure hunt to the goodwill for unique clothing at a great price. And yes, it's totally addicting 🙂 Your outfits are adorable!